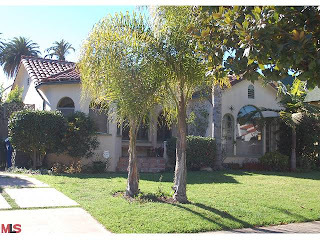 The approved short sale at 2377 Selby Ave had a small price reduction this week of 1.85% or $20,000, down to $1,060,000. This is the first price reduction of the current listing. The home was listed back on 2/10/11 for $999,900 and accepted an offer shortly after coming on the market to take to the bank for short sale approval. It looks as though after two months, the bank approved the sale at a price higher than the original asking price and the buyer must have walked since the home is back on the market. The good news is with an approved short sale, the process is typically much shorter to get a deal done for the next buyer. According to the MLS, the home is a 4 bedroom / 3 bath, 1,795 sq ft of living space on a 6,750 sq ft lot.